The Gutter People of WNY is a full-scale construction company established in 1978. We specialize in everything from minor repair to major remodeling and light commercial work and have been providing gutter, roofing, siding, carpentry, window, trim and insulation services since day one. 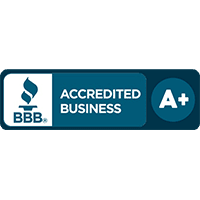 We are an A+ rated company with the BBB and are committed to providing exceptional customer service, quality products and fast turnarounds. The Gutter People of WNY is family owned and operated. Owner Kevin Nowak has been in the gutter and home improvement industry since he graduated high school. Since our early days, we have evolved into a strong company through strong customer referrals. Because of our outstanding reputation among customers, our motto is “A Referable Company Since 1978.” Our hard work has earned us repeat business and glowing recommendations for decades, and we look forward to earning your business as well. 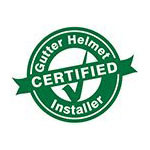 Our company teamed up with Gutter Helmet® in 1990. Kevin actually started with The Gutter People of WNY when it was owned by his older brother Marshall, who is part of the Gutter Helmet® family in Pennsylvania. We’ve found it to be such a good product that it has become the face of our company since then. When we say Gutter Helmet® is the brand American families trust, we mean it! Get in touch with The Gutter People of WNY by calling (800) 824-3772. We’ll be happy to answer your questions and provide a free, no-obligation estimate for your next project. You can also fill out our online form to schedule a free in-home appointment at your convenience.